In the past, the only way to correct dental imperfections was to cover the tooth with a crown. Today, in most cases, there are several alternatives: crown, composite resin bonding or porcelain veneer or even cosmetic contouring or orthodontics. Veneers can be the ultimate smile makeover treatment! Doing any of these things can cause the veneers to come off, break or chip. 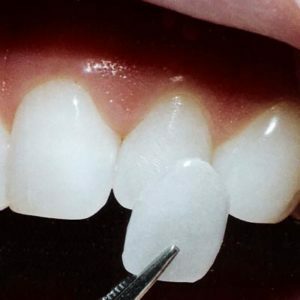 Dr. Kellen Smith will ask you to come back in a few weeks after you have been fitted with your new veneers so they can check the veneers for any potential problems or issues. Call Us at (403) 261-8855 to book your Porcelain Veneers consultation appointment today!